Commercial Property: Who Buys it? At North Bay Property Advisors, we solely work with commercial property but that doesn’t mean that we don’t know a thing or two about residential real estate. We know that they are entirely different beasts. However, whether you are looking for a residential or a commercial property, you want the same thing; a place that will be perfect for your needs. 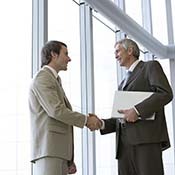 We would like to discuss some of the differences between the two kinds of buyers. 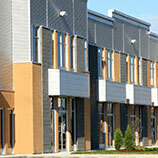 As commercial property buyers, you look at a property and think about how it will work for you. You think about how you will have to renovate the building for it to suite the needs of your business. Residential property buyers base their decisions off emotions. They think about where they are going to arrange the furniture or how they feel when they step into the living room. They also see themselves building a life in the residence. Many commercial property buyers buy the property because it is going to be an investment. You are investing in your business or you are investing in a property that you can make money on by renting to others. Either way, you want to get a return on the investment. Residential buyers are buying because they want a nice place to live. They want a place that they can grow as a family or just be a family in. If they end up getting money out of the property, that is an added bonus. While location plays a big part on both sides of the buying tracks, it is different for each party. On the commercial side, the buyer wants to be in a good location so that it can be accessible to many customers rather than in an industrial area of town. On the other hand, residential buyers are wanting to be in a good location when it comes to school for their kids or in a low-crime area. 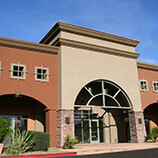 No matter what you are looking for in the way of commercial property, we can find it for you. Call the commercial estate agents at North Bay Property Advisors today to schedule a viewing.